PNB Housing Finance Ltd has received approval from capital markets regulator Securities and Exchange Board of India (SEBI) to float its initial public offering (IPO). This comes three months after it filed its documents with SEBI to raise up to Rs 2,500 crore ($370 million) in the public issue. The mortgage lender is a unit of state-run Punjab National Bank, which holds a 51% stake in the company. After the IPO, the state-run bank will continue to hold about 35-37% of the mortgage lender, according to the prospectus filed with SEBI. Private equity firm Carlyle Group owns the remaining 49% stake in PNB Housing. It had acquired the stake last year when it purchased bulk of the business of New Silk Route-controlled financial services firm Destimoney in its first major buyout in India. 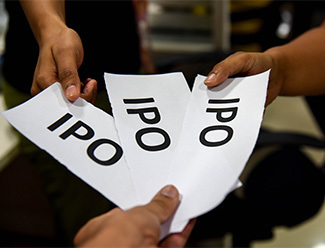 The proposed IPO is entirely a fresh sale of shares, according to its prospectus. The housing finance firm plans to use the proceeds from the share sale mainly to augment its capital base. Kotak Investment Banking, BofA Merrill Lynch, JM Financial, JPMorgan and Morgan Stanley are bankers for issue. This is one of a few IPOs where majority of managers are international banks (click here for a look at which investment banks are raking it in from the surge of IPOs in India). The lender plans to use the money to augment its capital base. It also plans to use not more than 25% of the funds raised for general corporate purposes. The company plans to grow its business and loan portfolio by consolidating its market share and expanding into specific target markets such as the affordable housing segment.